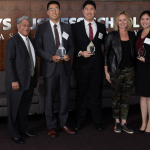 "Mays Business School is pleased to partner with Humana to bring together the brightest graduate students in the country to innovate using data analytics to solve a real-world business problem in health care, one of the three Grand Challenge areas of Mays Business School"
HOUSTON--(BUSINESS WIRE)--The student team of Edward Cho, Lianne Ho and David Sung from the University of Southern California has won the $20,000 First Place prize in the Humana-Mays Health Care Analytics 2018 Case Competition sponsored by health and well-being company Humana Inc. (NYSE: HUM) and Mays Business School at Texas A&M University. Nearly 700 masters level students representing 246 teams from 42 major universities in the U.S. registered for the national competition to compete for $35,000 in prizes. Students enrolled full-time in accredited Master of Science, Master of Arts, Master of Information Systems, Master of Public Health or Master of Business Administration programs at an educational institution based in the United States were eligible to enter. 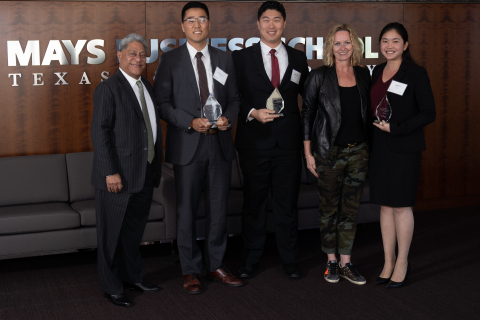 Cho, Ho and Sung received the top prize following a presentation Wednesday, Nov. 14 to an executive panel of judges at Texas A&M’s Mays Business School’s CityCentre Houston location. 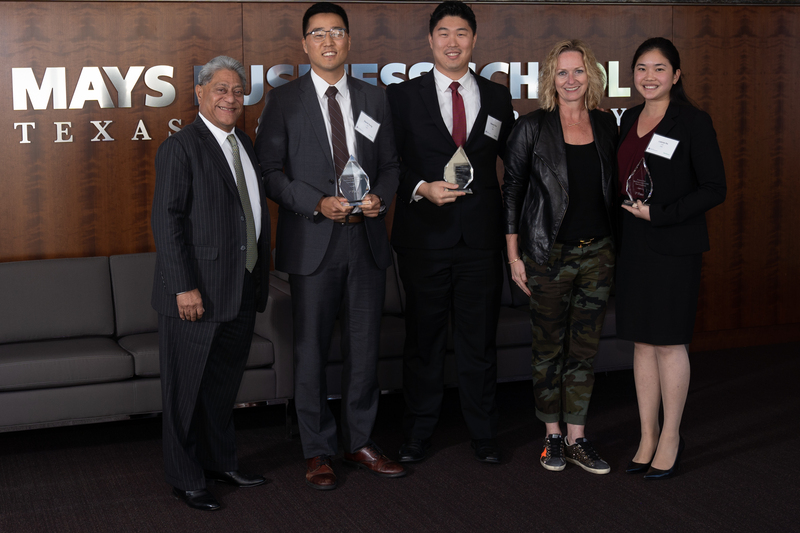 The Second Place prize of $10,000 was awarded to Hanyin Nifrom, Uyanga (Melody) Sumiya and Qi Xu from Bentley University while the Third Place prize of $5,000 was presented to Kyle Cross, Ming-Hsin Li and Efrat Mordechay from the University of California, Los Angeles. Participation in the Humana-Mays Health Care Analytics 2018 Case Competition represents a 132% growth over the inaugural 2017 competition, where more than 300 master’s degree candidates representing 109 teams from 19 major universities in the U.S. registered for the competition. Students Hongxia Shi, Shenyang Yang, and Xiangyi Che from Purdue University received the top prize.